ThinkTank Photo Little Stuff It! Battery grip for the Canon EOS 5D mark III. Provides vertical shooting controls, the ability use 1 or 2 LP-E6 batteries, or 6 AA batteries to power the camera. The Ec-S Super Precision Matte focus screen is designed to allow better visualization of focus with fast lenses used on Canon’s EOS-1 series SLRs. Canon’s basic electronic cable/remote release for their higher end EOS cameras (N-style connector). Provides the ability to actuate the shutter release (half and full press), as well as lock the shutter release down for bulb exposures, without touching the camera. Canon’s TC-80N3 is both a cable release and intervalometer for use with their mid- and high-end EOS bodies. A big eye-cup that blocks out stray light to improve viewfinder contrast and brightness seems like a bright idea. However the implementation was less than successful in a number of ways. An interesting, but in my testing problematic, solution for making camera straps quicker release on cameras that use simple strap loops. Mini QD Loops are tiny “side release” buckles for your camera straps. Small, light weight, and reasonably strong, they’re best used with light cameras. Quite possibly the best quick release system for camera straps. Anchor Links provide a solid retention mechanism without having massive on camera tails that constantly get in the way. Really Right Stuff’s custom fitted Arca Swiss compatible L plate for the EOS 5D mark III with it’s BG-E11 battery grip. 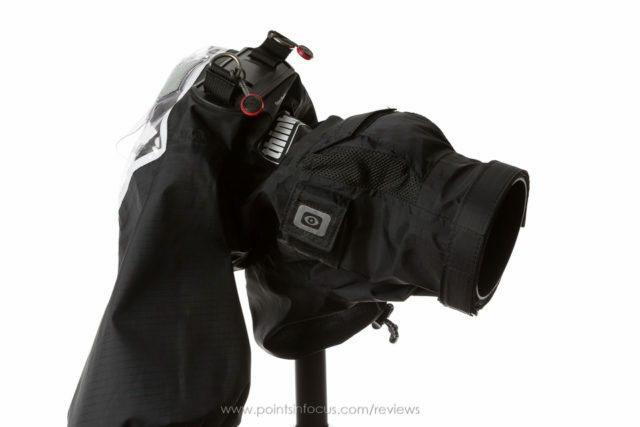 ThinkTank Photo’s small Hydrophobia camera rain coat provides as solid waterproof barrier lenses up to a 100-400 when you need to work in the pouring rain and don’t want your gear to get soaked. 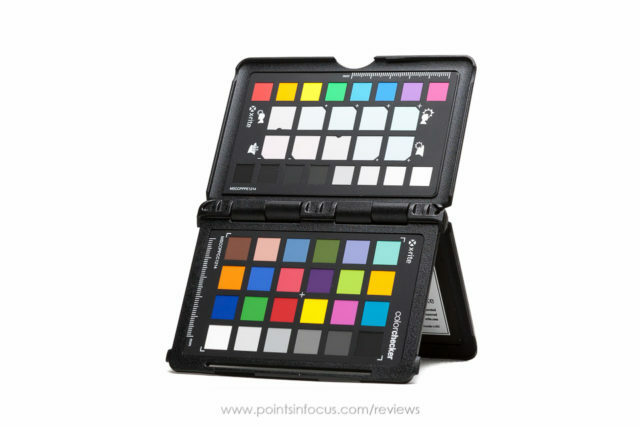 X-Rite’s color check cards are the industry standard. This is a pocket sized version, that can be used to generate custom camera profiles, as well as make creative adjustments to white balances. Lowepro’s compact FlipSide 200 backpack aims to pack a small amount of gear in a bag that is virtually impossible for someone to pickpocket while you’re wearing it. The largest pure backpack in ThinkTank’s Airport series, and a bit big for my tastes and uses. Uniquely designed to make it easy to have 2 cameras setup and ready to go that I haven’t seen elsewhere. The middle size of ThinkTank Photo’s airport series backpacks. Packs a lot kit but still fits comfortable in airline carry on allowances. As laptops have become thinner, so should their bags. Big enough for 15″ MacBook Pro (or similar), a 9.7″ tablet, and some paperwork, this is my laptop bag of choice. As a plus its designed to fit in the laptop pocket of ThinkTank’s Airport series bags. ThinkTank Photo’s belt system is designed to provide photographers with fast access to the gear they need right now. Ideal for event photographers or those who need to keep a small amount of kit easily accessible. The second generation of ThinkTank Photo’s lens changer belt pack. Large enough to hold a short or midsize prime with some padding. ThinkTank Photo’s Little Stuff It!, a small accessory pouch for their belt system. Shoulder straps for ThinkTank’s belt pack system. Useful when you’re carrying a lot of kit and need to keep your belt in place. ThinkTank Photo’s mid range belt system belt that can also be used with many of their backpacks. Provides a lot of cushion when carrying heavy loads. ThinkTank Photo’s Skin 75 belt pack, for lenses up to a 70-200mm f/2.8. Skin series belt packs provide minimal padding, but pack and store flatter. ThinkTank Photo’s Skin Strobe belt pack for professional speedlights. Skin series belt packs provide minimal padding, but pack and store flatter. ThinkTank Photo’s full size camera case for their belt system. 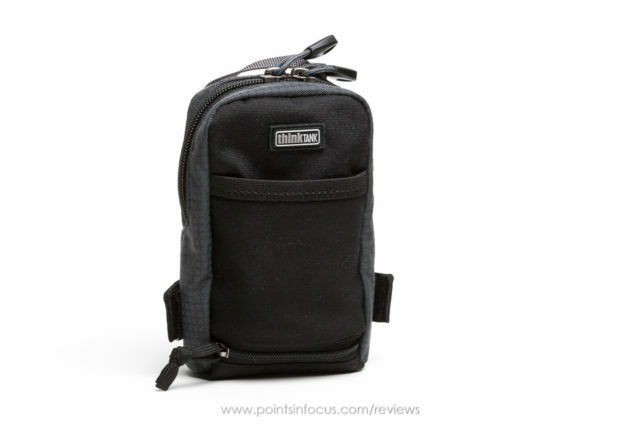 For me, ThinkTank Photo’s StreetWalker Pro is one of the best mid-sized photo backpacks available; well built and big enough to carry a good amount of gear. The solution to vignetting rectangular filter holders. 3DP Idea’s filter slots let you stack 3 filters on a Lee holder without vignetting at 16 mm. An innovative approach to mounting rectangular filter holders (Lee in this case) to a lens using the lens hood’s bayonet mount. An innovative approach to mounting a rectangular filter holder (Cokin Z-Pro in this case) to a lens using the lens hood’s bayonet mount. B+W’s older style of circular polarizer. Provides solid image quality and reasonably neutral color though it blocks nearly 2-stops of light too. B+W’s XS-Pro line are their newest line of filters aimed at modern photographers. They combine the same great B+W optics and coatings with a new thinner mounting ring that still retains front threads. Breakthrough Photography’s highest end entry in to the circular polarizer market, it delivers on the promised neutral color and minimal darkening, and does with a design that’s easy to feel and use even with gloves on. Cokin’s Z-Pro holder for 4″ rectangular filters. Holds filters, but the mounting system is flawed and it’s not really suitable for 10-stop ND filters. Newer designs (e.g. Lee, HiTech, or Breakthrough Photography) work better. Original version of HiTech’s 10-stop neutral density filter to extend an exposure significantly. My testing showed a strong, often uncorrectable, color cast that rendered this useless for anything but black and white photography. Lee’s 4″ filter holder kit provides a well built foundation for using 4″ rectangular and square filters with a quick detach mechanism to get the filter on and off quickly. The Monoball Z1 is the latest in Arca-Swiss’s line of ballheads. It pairs a high load capacity (150lbs) with low weight (1.5lbs), and a novel solution to having to constantly adjust the tension on the ball as the camera is shifted. Benro’s Travel Angel FTA28CC is a light weight carbon fiber travel tripod that collapses to a compact 17″ not including a head, and still stands an impressive 61″ when fully extended. Quick to adjust, and solid when tightened down, the GS3512S center column makes it easy to make vertical adjustments to camera positions without worrying too much about vibrations. One of Manfrotto’s smallest, lightest, least expensive, and lowest weight fluid heads provides smooth pan and tilt movements when shooting video. Best used with light cameras. 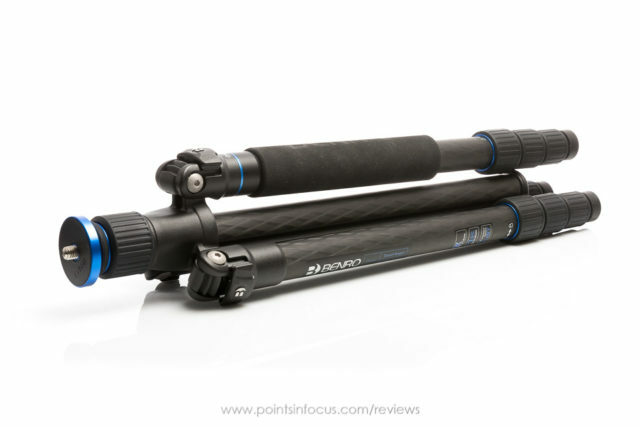 The Oben CTM-2500 is a rare breed in mono-pods as it’s able to extend to 65″ (165 cm) and still collapse to a mere 17″ (43 cm), of course it’s carbon fiber so it’s light and it uses twist locks similar to Gitzo tripods too. Really Right Stuff’s biggest, strongest, heaviest, and most expensive, ballhead; and preforms like you would expect, superbly. Black Rapid’s regular sling straps work great, until you try to use them with a backup. Their solution is a “half strap” that attaches to your backpack harness and provides the same front side functionality. It provides all the same speed as the original Black Rapid strap, but has a larger contoured shoulder pad to increase comfort. Lightweight gloves that can be made to work reasonably well for photography in mild weather. A versatile multipurpose Arca Swiss style clamp. Can be used on a 1/4-20 thread, on camera straps or even clamped in another Arca Swiss clamp. The MTX Tool is my go to tool in the field. The smaller than normal bits allow me to can carry every size of Phillips/cross point, hex, and torx bits that I need to fix or adjust any part of my kit without having a huge tool. Designed to lock into the rings on ThinkTank’s camera straps to attach them to your backpack harness. These take the load off your neck and put it on your shoulders, though your, preferably heavily padded, backpack straps.